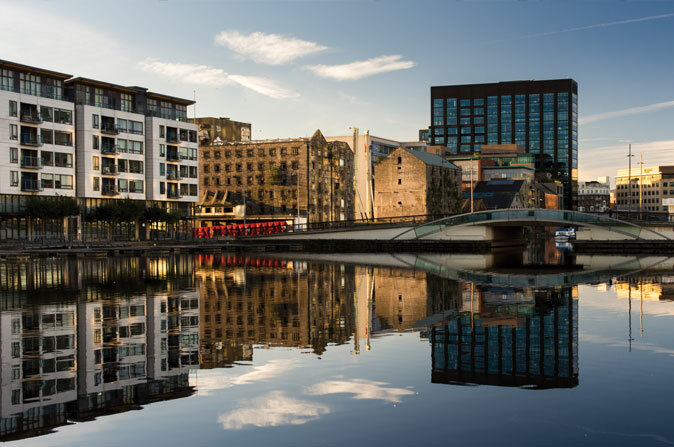 Dublin has become a global HQ for top American businesses. American companies have provided much of the oxygen for Ireland’s economic recovery, and their inimitable impact on the island has only just begun. In 2014 alone, US investment rose by 63 per cent, bringing total capital stock in Ireland to $310 billion, data from the US Bureau of Economic Analysis shows. With this rise in capital, Ireland now represents not only 20 per cent of the US’s investment flows into Europe, but also more stock than in Latin America, China, Africa and the Middle East – combined. Ireland’s recovery has been nothing short of extraordinary, even when considering more modest GDP rates. If the relocation of capital from FDI is taken out of the equation, the domestic economy still registers double the growth of the EU average. Match this with Ireland’s 12.5% corporate tax rate, significantly lower than other EU countries, and it is easy to see the allure for mega-investors from across the Atlantic. Yet, Ireland’s secret to success is not hinged solely on tax breaks; rather, it’s Ireland’s amalgamation of Western European-style business capacity, proven home-grown capabilities in complex industries, and a research-driven academia, which backs up business by generating bright, English-speaking workers. These attributes make the island a comfortable fit for US multinationals hoping to transition into the EU with as least friction as possible. Today, little stands to ebb the flow of US capital, even in spite of the acrimonious challenge Apple faces from the European Commission, which continues to pressure an unwilling Irish government to collect €13 billion in back-taxes from the tech giant. On the ground, foreign investment now mobilizes a veritable army of industries. Some 700 US companies currently employ over 150,000 people across Ireland, reports the American Chamber of Commerce in Ireland. These workers walk into lobbies brilliantly lit with emblematic brands like Google, Facebook, Amazon and IBM, all of which have chosen Ireland to base their European headquarters. In the end, the post-Brexit scenario may augur a further boost to Ireland’s investment rush. Becoming the only English-speaking EU country, Ireland will be able to showcase its highly educated workforce for companies seeking to retain a firm EU presence. However, seperating Ireland from its intimate integration with the UK is a delicate task. “The UK is a huge part of our business,” says TJ Malone, CEO of Actavo, a Dublin-based engineering solutions firm. “Brexit will restrict the free movement of labor, which is a large challenge for us,” he attests. To mitigate risk, Actavo is now diversifying through acquistions, including the 2016 purchase of Atlantic Engineering Services, an American electrical design company.